Sickle cells life span is shorter than normal red blood cells. They get destroyed faster because of their odd crescent shape. 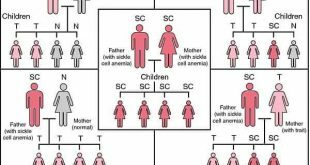 The normal red blood cell can last for about 120 days but the sickle cell can hardly exist for up to 20 days. The bone marrow works to build new red blood cells but finds it hard making new cells as fast as they are destroyed in SCD. This is what causes Anaemia in people with sickle cell disorder and its victims are almost perpetually with Conjunctival/ Palmar/Mucosal Pallor or Jaundice. 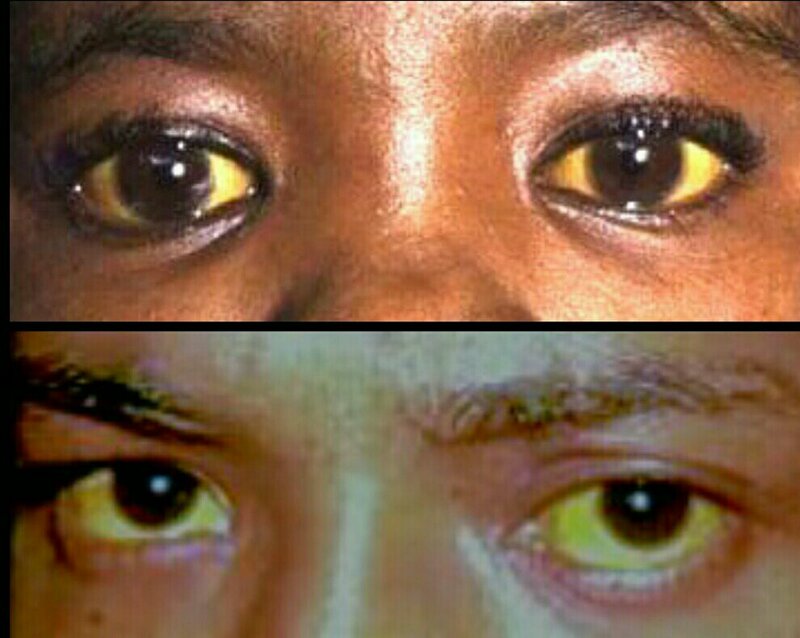 Pallor which is paleness is more common than Jaundice in SCD and Jaundice is more severe than Pallor. Due to the regular haemolysis (conditions resulting in the premature destruction of RBCs) causing moderate to severe anaemia due to reduced blood flow and oxygen, the resultant effect is the secretion of excessive bilirubin in the system than the normal level the liver can filter or cope with. This is what brings about Pallor or Jaundice (yellowness of the eyes, skin or palms). Bilirubin is a substance released by the breakdown of old cells. Staying hydrated with the intake of a lot of fluids will help the system dilute the bilirubin and cleanse other waste products in the system through the kidneys, reducing the stress on the liver to do so. Also, it is pertinent that you avoid foods and lifestyles that put too much strain on the liver like the avoidance of high fat diet, high protein meals, processed food and alcohol consumption. Herbal remedies too must taken minimally and with care, if it must be used at all. 15 DIFFERENCES BETWEEN A BUSINESSMAN AND AN ENTREPRENEUR: Where do you belong?